Hi and welcome back again. 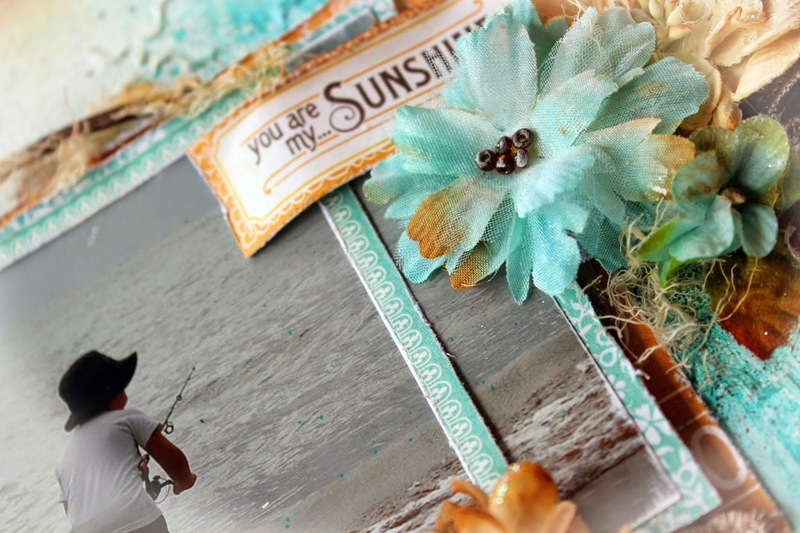 Today I have the second of my Design Team creations for The Scrapbook Store. If you haven't been here before you really should just pop bye for a quick look......but beware you may stay longer as I have done on numerous occasions! So today my creation base is another Graphic 45 "Time to Flourish" inspired piece. When I think of orange and blues together I always come back to the beach. And I had happened to come across this photo of my boy Hayden as the precious age of 5 on his first fishing experience. This photo really pulls on my heart strings so this layout means so very much in so many differing ways. This one is titled "#happy days". 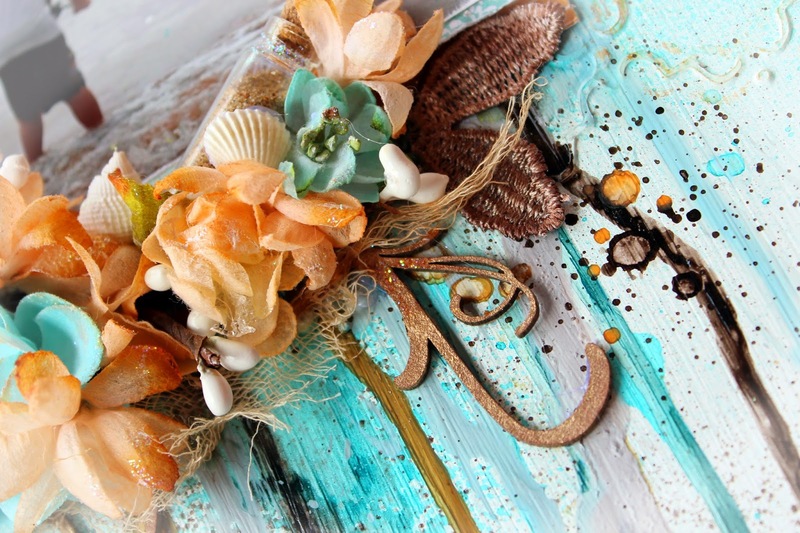 This layout has as you can see is a base of mixed media. I firstly started off with a 12 x 12" piece of chipboard and covered it with gesso. I stenciled in some texture paste and then coloured the background using a multitude of colours which are listed below for you. 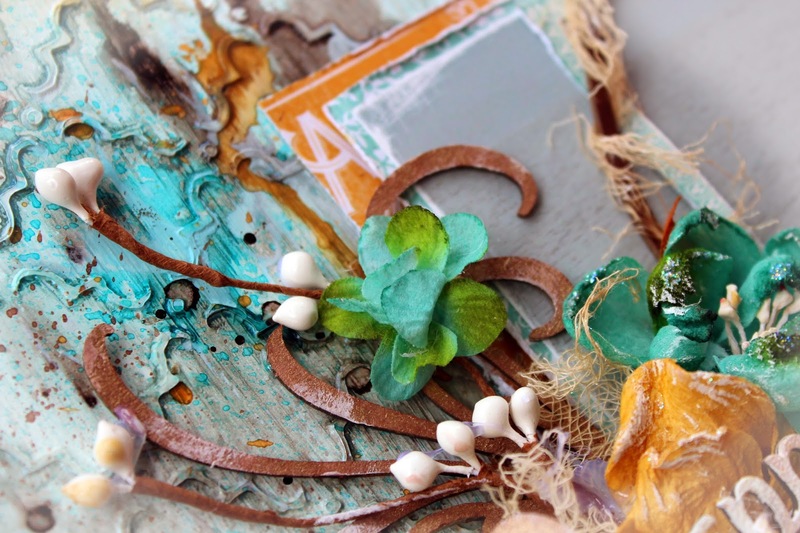 I have used some beautiful Blue Fern Studio flourish chipboards available from The Scrapbook Store. 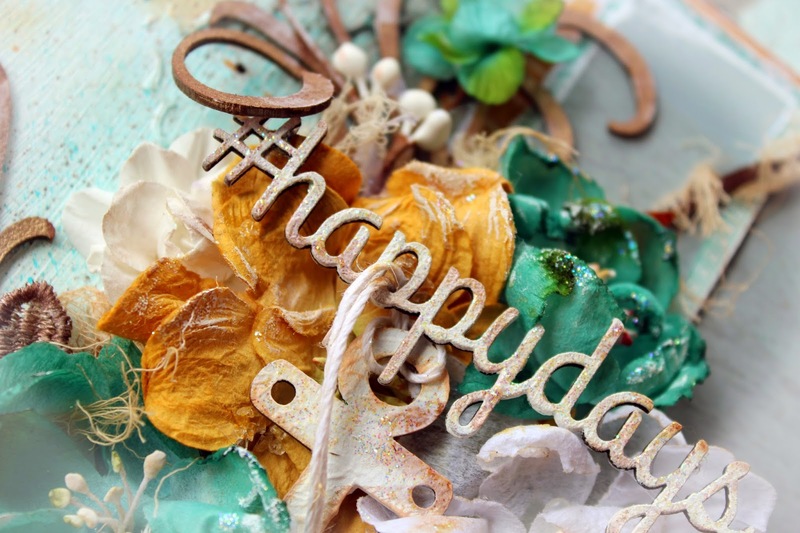 And as usual a little more chipboards pieces.....#happydays title (Dusty Attic) and the Anchor (Fabscraps). Each of these were dressed with gesso, distress inks, crackle accents and Star Dust Stickles. This collection from Graphic 45 is just stunning and I have fallen head over heels in looooooove with the Cut Apart pages. You can see here that I have cut the frame work from the Cut Apart (August) page along with the reverse of both the Cut Apart and August Flourish pages as matting to make the photo pop from the background. I wanted the photo to be the star of my page!! And oooooh lala....the background close-up. I have mixed a bit of paint along with a lot of glimmermists. I have also dry brushed all of my flowers with a little gesso and tucked a little tea dyed cheesecloth in behind and around the layout. Well I hope you have enjoyed this layout as much as I did creating it. Hope you have a most wonderful day and happy crafting! !